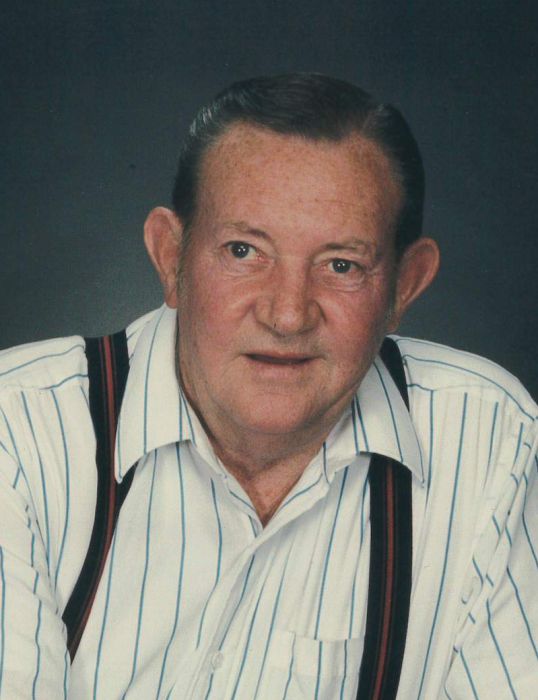 Reed Hogan Benson, known to family and friends as “Rabbit”, passed away Saturday April 6, 2019 at the age of 91. He was born August 29, 1927 in Pleasant Grove, Utah to Randolph “Ren” and Bertha Nielson Benson. Reed graduated from Pleasant Grove High School and Seminary in 1946 where he excelled in sports and received an athletic scholarship. After high school, Reed worked for Fugal & Sons and Geneva Steel. He then became a boilermaker welder and specialized in large diameter pipe. This work took him to Washington, Nevada, California, Colorado, Arizona, Texas, and overseas to Iran. He then became a foreman at United Concrete Pipe in Pleasant Grove and finished his career there. Growing up in Pleasant Grove he enjoyed hiking the G, swimming in the canal with friends, campouts with the scouts on Timp, and going to American Fork Canyon with family and friends. Reed loved to dance and went to all the local dances. He also had many good times playing string instruments will family and friends. He met his sweetheart Rosemary during Strawberry Days and they were married on September 4, 1954 in Ely, Nevada and together had seven children. Rosemary passed away March 14, 1962. Reed was a man with a great sense of humor all throughout his life. Time spent with loved ones was his greatest joy. He is survived by his six children: Brad (Jody) Benson, Lehi; Christie (Kelvin) Adamson, Cedar Hills; Scott Benson, American Fork; Allyson (David) Phillips, Pleasant Grove; Lisa (Ronald) Colson, Moroni; Todd (Charlene) Swallow, West Valley City; 24 grandchildren, 45 great-grandchildren and 4 great great grandchildren with two on the way. He was preceded in death by his parents and his son, Shane and grandson Byron Reed and siblings: LaVone Anderson, Anna Hunsaker, Irene Dennis and Clarence “Pelly” Benson. Funeral services will be held Saturday, April 13, 2019 at 11:00 am in the Olpin Family Mortuary Chapel, 494 South 300 East, Pleasant Grove where family and friends may attend a viewing from 9:30-10:45 am prior to services. Interment will be in the Pleasant Grove City Cemetery. Condolences may be sent to family at www.olpinmortuary.com.